Nightstands: What’s the Big Deal? January 22, 2015 March 15, 2015 Categories bedroom, Decorbedroom, interior design, nightstand, side table2 Comments on Nightstands: What’s the Big Deal? Nightstands are a staple in every bedroom. We all need somewhere to put our books down before turning off the light and keep our alarm clocks for the mornings. 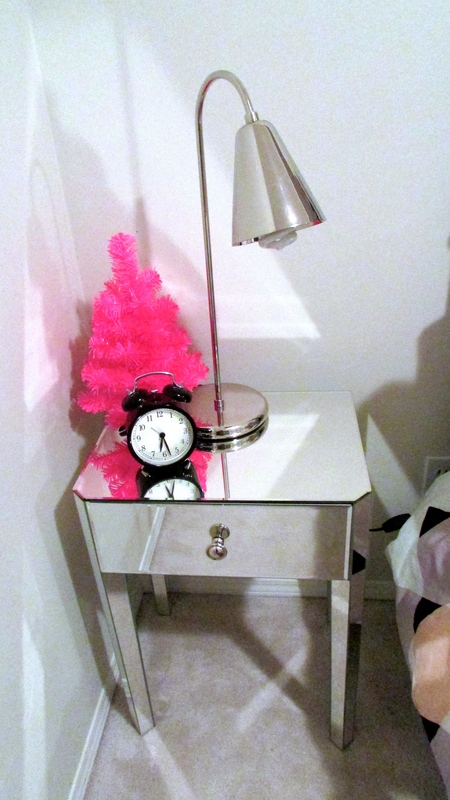 There are so many variations of a typical nightstand, too. Some nightstands are just window ledges, some are cardboard boxes, some are high-end antiques. Like chairs, they are easy ways of adding bright colour to a bedroom, being smaller than a bed or desk and easy to switch out. But I didn’t do that. My old nightstand is pretty basic IKEA stuff. The lack of space between the bottommost drawer and the floor makes it feel clunky, the wood makes it look heavier, and the dark colour makes it stand out against everything else, bringing even more attention to it, which then makes it seem bigger and clunkier. While big and clunky works for some bedrooms, it’s not ideal for an already small bedroom like mine. So I got rid of it. I wasn’t exactly on a hunt for a new bedside table, but I was keeping an eye out for one. Eventually, I spotted a nightstand in the fake-plant section of Target. I don’t know why there was a nightstand with the fake-plants, but there it was, only $30. It was cheaper, smaller, lighter in weight, mirrored so that it was guaranteed to match my room, and only had one smaller drawer so that it stood on long feet, far from the ground which gave it an airy feel. The problem now is that the lamp I have is a bit too big for it. Thankfully, my eventual plan will fix this issue and I’ll no longer need a lamp on my nightstand in the long run, so this is okay. The new nightstand also means there’s more room to spare between my bed and the wall. My old nightstand fit perfectly in comparison. That’s okay, too. Eventually, I plan to move my bed to a different wall so it no longer has to go directly under the window like it is now. Of course, I’m not going to be home again until May, so my changes will have to wait. But waiting can be a good thing, like last semester. 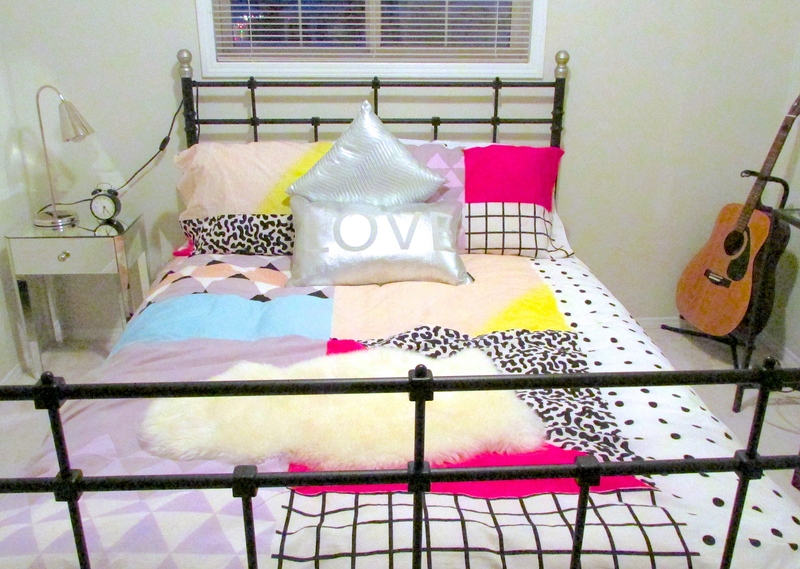 It forced me to take my time and by doing that I came up with a better idea of how I wanted my room. I can’t make huge changes, either, but I’ve had time to think around the unchangeable carpet and paint and wallpaper ban. As of the day I left, my room was still very much unfinished, but I had a much better idea of what it would eventually look like. The nightstand made a surprisingly big difference, too! What do you think?